My mother Sheila has died. 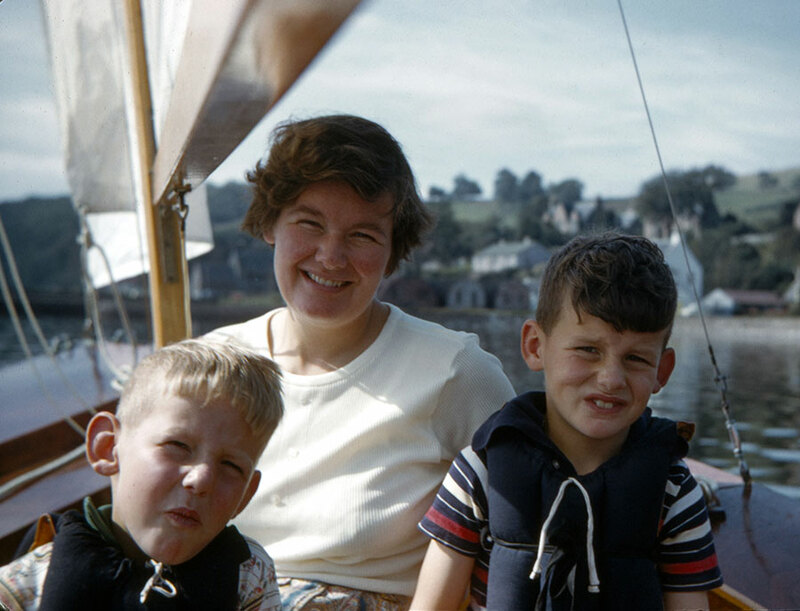 Both she and my father gave my brother Donald and myself our lifelong interest in mucking about in boats. This photo was taken in 1962 which was my fourth season on the water! However, Sheila gave us much more. Below is the eulogy I spoke at her funeral service in Ayr. A breezy day, September 2013, walking along the Solway coast. My brothers and I were so lucky to be born to Sheila. I first became aware that our mother was a bit different to friends' mothers when I started primary school in Dingwall. She was always visiting needy or bereaved people, bringing them companionship and help. I had grown up thinking this was normal because Sheila's mother, Agnes, also did the same. In those days religious observance was very important in Dingwall. I was in the same class at school as a boy down the road but found we went to different Sunday schools. I went home and asked Mum "What kind of Christian are you?" She looked me in the eye and said "I am a practicing Christian." As a child I did not really know what she meant but as the years passed and I watched how she lived her life, I came to understand. In addition to being a wife and mother, Sheila was a teacher of domestic science. Years later, while my wife and I were working as doctors, we came across people who asked "Are you related to Mrs Wilcox? She was a wonderful teacher!" In her "spare" time, Sheila loved her garden and greenhouse, walking her dog, golfing, swimming, bridge, reading, driving her car, going out for lunch with friends and, when she was younger, 1st XI hockey at Marr College, badminton, country dancing, sailing, hill walking and playing piano. Her house was constantly filled with the rattle of her sewing machine and the smell of baking as she sewed, cooked and baked for family, friends and charity. 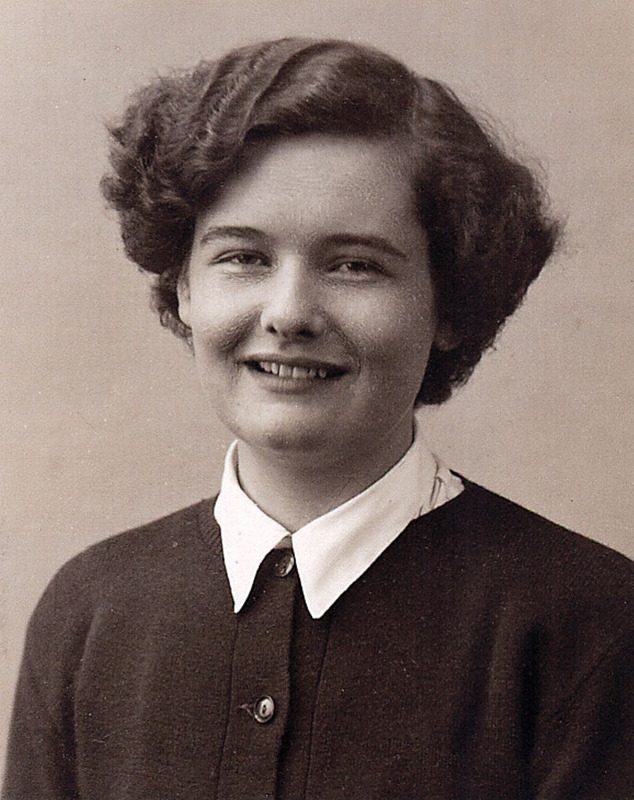 Sheila in about 1949 at Glasgow College of Domestic Science. Sheila had a great capacity for love and caring. She moved in many circles and her phone book is full of friends from Glasgow Do' School, the teaching and veterinary worlds, golf, bridge, St Leonard's church, the Ayrshire hospice (for which she was a volunteer for nearly 26 years), Cardoness where she spent her holidays and the many people she was looking out for. After Sheila died, I phoned people in her book, many of whom I did not know. Some were old friends from school days and others were very recent friends but all described the same joy in Sheila's friendship. Sheila was forgiving, she never held grudges and she always saw the best in people. Sheila was very independent, she would rather look after others than be looked after herself. After 57 years of marriage, when Rae died, she was heartbroken but she pulled herself together and often said "I'm doing just fine". Despite being on her own, she filled the empty space in her life by going out and helping others again. Two years ago, after Sheila had major open chest surgery, she was given only two months to live. Sheila was determined to prove the doctors wrong when it would have been all too easy to just give up. Alison, her daughter in law, nursed her back to health over those two months. At the end of this time Sheila said to me "I think I am ready to go out for a drive". "Certainly Mum where would you like to go and I'll take you?" "No, no, I'll drive, I only need you to check I'm OK". Earlier this year, when her breast cancer was well advanced, she had two cataract operations so that she could continue to drive. Then, just six weeks before she died, Sheila drove to and from her great grandson's first birthday party in Glasgow. She took with her three cakes and trays of pastries which she had spent hours baking. Sheila was modest, sharing and so generous with her time. She was always thinking of others, whose needs she often put first. Many times I tried to take her out for lunch only to be told "Sorry, I am just away to see an old friend is all right". She loved nothing better than teaching friends to golf and helping youngsters who might have otherwise been unable to play. When Sheila was in hospital for the last time, a 99 year old friend sent a get well message. Despite her situation, Sheila's eyes lit up and said "Please tell her I'm doing just fine and I hope she is keeping well too". Sheila was uncomplaining. Her last illness was challenging and painful but the nurses said she never complained. The New Testament has a proverb "As you sow, so shall you reap". After a lifetime of caring for others and when Sheila needed help most, she found herself surrounded not just by her family but by loving neighbours, friends and professionals who cared for her as if she were their own. Her one regret was that she spent much of her last three summers in hospital and missed her glorious garden. Both her birthday and anniversary were in July, when the roses bloom and these were her favourite flowers. When she was in hospital for the last time, I took her photographs as each of her beautiful roses blossomed throughout the month. It was a joy to see her smile, her eyes light up and nod her head in appreciation. Sheila was an eternal optimist. Just over two months ago, I was with her when (for the second time), a doctor gave her just two months to live. By this time she knew how to cope with bad news. Going out to her car (she was driving) she said, "Six months, that's not so bad." By the time she got home to family and friends this had grown to five years! "I am doing just fine" she said and with a smile she went off to the greenhouse, sowing seeds for next year. 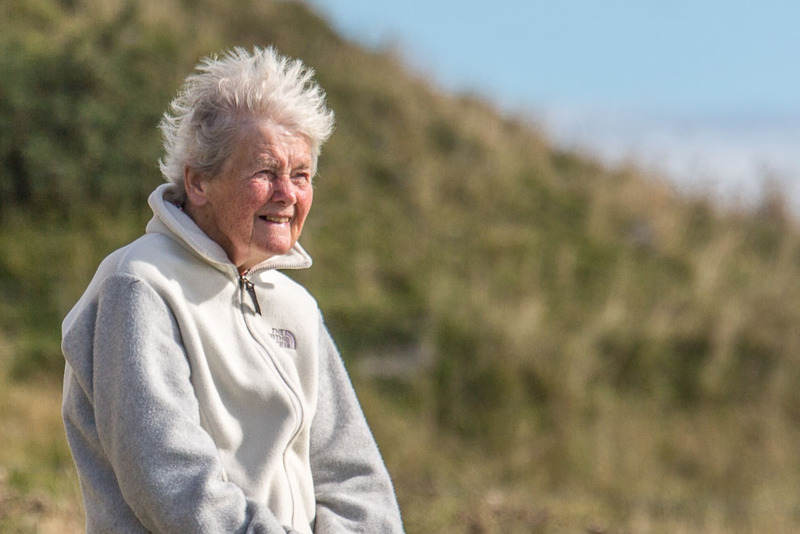 She loved life and never gave up hope, not even at the very end of her long illness. As the family shared a bedside vigil with Sheila, one of the very last things she said to me was "Will they accept me?" I cannot imagine anyone who would be not be willing to accept Sheila into their fold. In the small hours of her last night I was stroking her hair and cheek when I was overwhelmed to feel so much of her love just slipping away through my fingers and there was nothing I could do to hold on. Then I heard her voice inside my head. "You're just feeling sorry for yourself, I'm doing just fine, now go out there and do some good in the World". 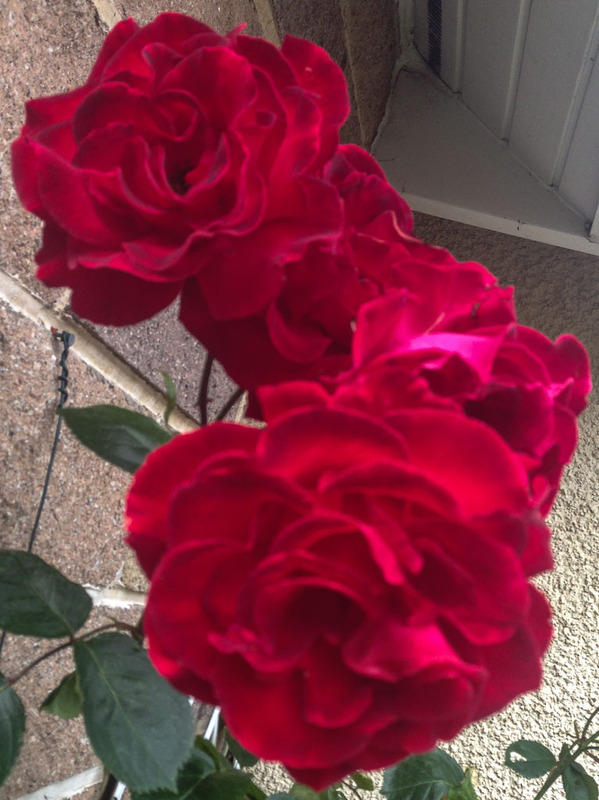 When I got home in the early morning, the petals of the last of her beautiful roses had fallen to the ground and I knew that the natural cycle had turned. The love and time Sheila had so willingly shared with others had come to an end. Only precious memories now remain and to hold on to these, we should try to live a little like Sheila. Sheila thank you for giving us so much love and joy. God bless you. An extraordinary woman Douglas, and a live lived extraordinarily well. She and your Dad have given you, Donald and your family a very precious gift in your upbringing. A life to be absolutely celebrated. Condolences to you and your family Douglas. I lost my Mum last year. It still hurts. You were brave to speak at her funeral. I could not do that. Your Mum sounds a very special lady. Regards Andrew. What a lovely testimony to a kind and generous spirit filled life. Sorry to hear this news, Douglas. I did however enjoy learning about her life, and I particularly love the first photo. Thank you Dave and Mark. That first photo was taken at Fortrose on the Channonry Firth. The dinghy was a CFly which my Dad had built. Thats me on the right, I clearly did not inherit my Mum's good looks.